Joie de V: Rock (the) Liebster! 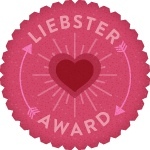 So, on Tuesday I was nominated for a Liebster Award by Courtney! I was surprised and excited at the opportunity to talk more about myself (only slightly kidding...) and to learn more about some of you! 1. Each person must list 11 random things about themselves. 2. Answer the 11 questions that the tagger has set for you, and you must also create 11 questions of your own for the 11 people you present this award to. 3. Choose up to 11 bloggers, linking them to your post. 4. Go to their blog and inform them of the nomination. 1. I've always been obsessed with finding out what I'm meant to do with my life. 2. My favorite food is mashed potatoes and gravy. 3. I've never been able to do a pull-up. 4. I always order my cheeseburgers plain. 5. I have a knack for meeting famous people (it's true- Nicolas Cage on a roller coaster, Sigourney Weaver in Williams Sonoma... just to name a couple!). 7. I love getting my back scratched. If I could pay someone to scratch my back for an hour instead of a massage, I totally would. 8. I lived in Germany a few years ago. I miss it! 11. I could watch Bravo TV all day. 4. What's your biggest goal? To raise Miles as a gentleman (and a scholar). No big. 11. What's on your to-do list today? To finish this blog post, find two more Lemony Snickett books for my sister, and to fill the gas tank in my car. 3. Flats, heels, or wedges? 4. What's the hairstyle you've always thought about trying, but would never actually attempt? 7. What is your favorite magazine? 8. Are you an early riser or do you like to sleep in? 11. What's the first thing you do when you wake up in the morning? 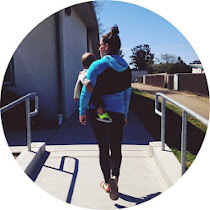 I look forward to seeing your answers and I'm so happy to have connected with each and every one of you ladies out here in the blogosphere. LOL, cheeseburgers no cheese? Or you mean no condiments? And whoa on the celeb meetings! Did you say HI? Did you take pics? Autographs? *Gasp* Hate Twilight? I'm caught up in it. Not the books. Just the movies. LOL, a pull-up on your bucket list! Aw, and TKS for nominating me! I will try to answer these by this week :). I'm honored to be your friend! CONGRATS on the award! I used to order cheeseburgers completely plain too! No cheese, no onions, no ketchup, mustard, lettuce - just a burger and a bun. haha! @ Lisa and Sable- I meant condiments! I can't stand all those extras on a perfectly good cheeseburger (I don't like them separately either. Pickles are probably my least favorite food). I do order cheese! I love cheese! @ Lisa again- You're so funny. I'd like to say I'm not starstruck, but I totally am. Each time, I get all nervous and then go up to them and try to say hi but then say something totally random like, "I loved you in 'Dave'..." :/ And I just can't bring myself to enjoy Twilight. I just can't! And the pull-up is on my bucket list because it would signify a bigger accomplishment, like me actually sticking to a fitness goal! haha I can't wait to see your answers!